Vinyl floors are long-lasting, easy to maintain, and ravishing. They are a great way of adding value to your home without wrenching your bank account. Still, you’ll need to carry out basic cleaning to help them last longer and keep them looking fresh and clean. It’s very easy. Just follow these simple tips to keep your vinyl floors looking sharper, fresher, and cleaner for longer. Have fun! Use a soft bristle broom to get rid of loose dirt. Clean them with a damp mop for basic everyday care. Wash the floor from time to time with a mild (non-abrasive) floor cleaner. Always follow product instructions and observe cautions before use. To prevent your floors from becoming dull, don’t use “mop and shine” products, abrasive cleaners or detergents. When vacuuming, use the “bare floor” setting or remove the beater bar to avoid damaging your vinyl floors. Never use bleach or ammonia to clean your vinyl floors. These substances contain harsh chemicals that may damage the material. It is not recommended to use harsh scrubbing equipment as these may destroy the flooring. Given the high temperatures of steam mops, your vinyl floors could really suffer from a harsh battering. Spills and stains could pose a lot of problems when cleaning your vinyl floors. If no instruction is given by the manufacturer, a clean, white towel or cloth is best when using vinyl floor products to clean your vinyl floors. 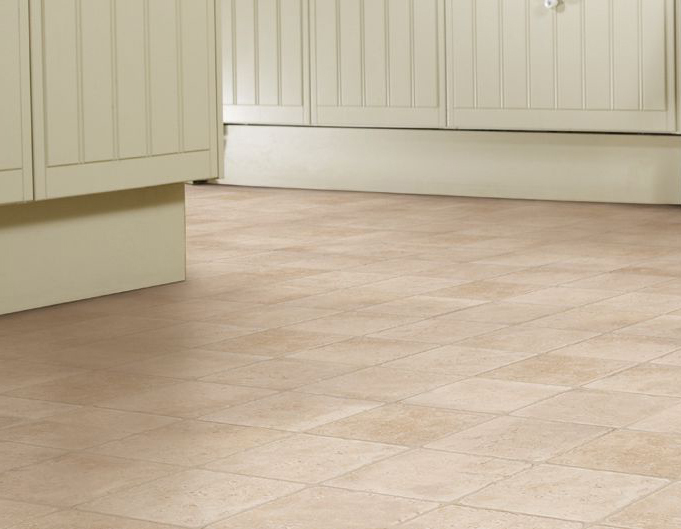 Use a vinyl flooring cleaner to clean the area. Using a gentle white scrubbing pad, scrub the area thoroughly. For stains that occur due to permanent markers, hair dye, polish, and pen ink, rub with Isopropyl alcohol. For rust stains, apply cream of tartar or lemon juice. Use an eraser or your fingertip to rub the scuff. Scrub the smudged or scuffed area with a nonabrasive white scrubbing pad and a suitable floor cleaner. Carefully follow the product’s instructions for usage. 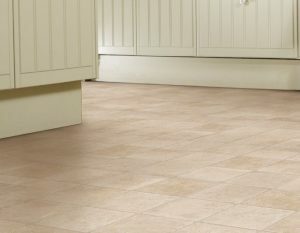 Vinyl floors are an inexpensive way of sprucing up your home. With basic cleaning, they can last you a long time. Cleaning is very easy as long as you carefully follow the steps in this guide. Good luck!